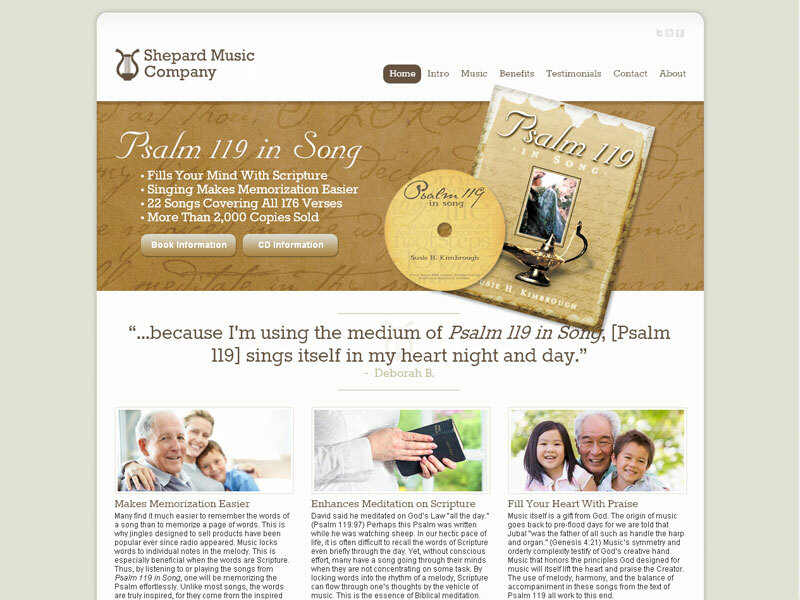 Susie Kimbrough overcame the difficulty of her goal to memorize Psalm 119, the longest chapter in the Bible, by composing a song for each verse. 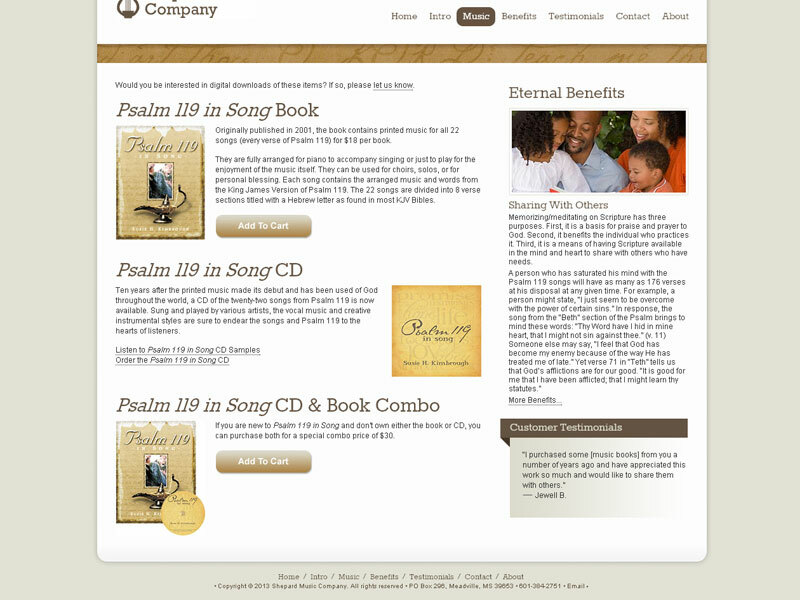 She arranged the music into a book titled Psalm 119 in Song. 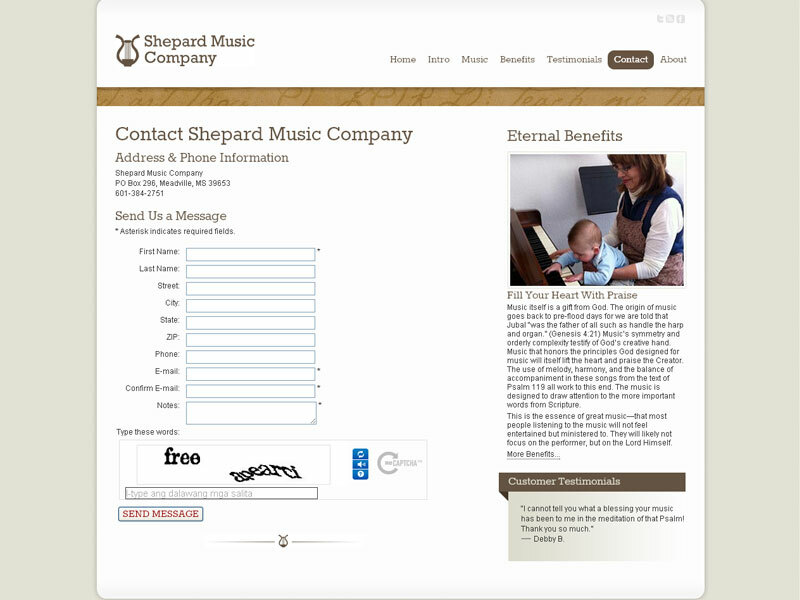 Later, the timing seemed right to put the music to CD while simultaneously launching a website to let the world know. 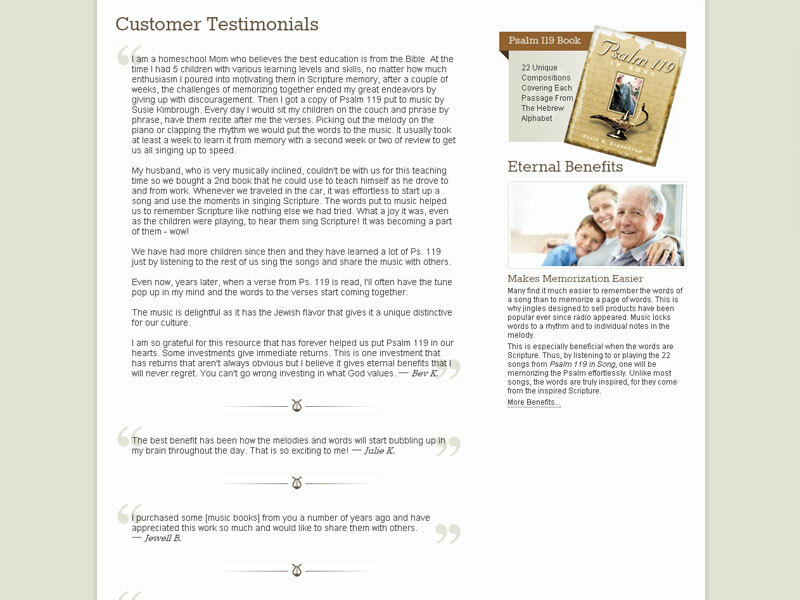 We were contacted for the design and development and created a website that presented the book and CD and provided simple, online purchasing using Paypal. We made it mobile friendly - including the ability to listen to track audio samples. After launch, the project was recommended on a national radio program.